These provide a brief insight into the list of upcoming programs where batch dates are published and registrations are being received. Business Leaders & Senior Mgmt staff face enormous challenges in running their organizations. Two of their key strengths is grit and determination or in simple words – Resilience and Perseverance. 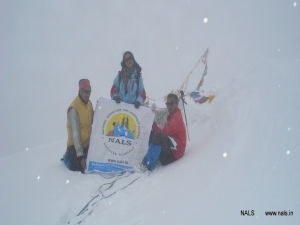 NALS offers a challenging trek to the Summit camp of Shethidhar Peak to help participants discover and improve their perseverance and resilience. 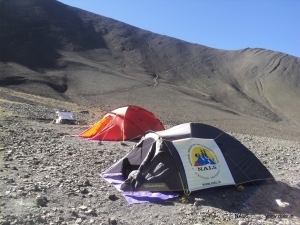 The peak is at an altitude of 5358m (about 17,200 feet) and the participants will reach the summit camp situated at 4650m (about 15,000 feet). This will also help them improve upon their fitness and health – a key strength for successful life. Experience the thrill of expedition to summit of STOK Khangri peak in Ladakh during Sep 2016 > a 11 day expedition to the 6153 m. snow capped peak in the Himalayas. Register now for 7 Days Student Camping and Leadership Program (SCALP) for ages 8 ~ 17 years, between 01 ~ 07 May 2016. Activities include an endurance trek to view point, rock climbing, high ropes, leadership and survival skill training. Register now for 4 Days Student Leadership Program (SLP) for ages 8 ~ 17 years,at NALS Coonoor. Activities include an endurance trek to view point, rock climbing, high ropes, leadership and survival skill training. Register now for 7 Days Student Camping and Leadership Program (SCALP) for ages 8 ~ 17 years, between 17 ~ 23 Apr 2016. Activities include an endurance trek to view point, rock climbing, high ropes, leadership and survival skill training. Register now for 7 Days Student Camping and Leadership Program (SCALP) for ages 8 ~ 17 years, between 25 ~ 31 Dec 2015. Activities include an endurance trek to view point, rock climbing, high ropes, leadership and survival skill training. Register now for Student camping and Leadership Program (SCALP) at Himachal Pradesh. This is for age group 10 ~ 17 and parents may also join. This program involves trekking, camping and adventure activities like rappelling and river crossing. Participants will also make an attempt to summit Patalsu peak (14,500 feet) in Beas Kund Valley. Register now for 4 Days Student Leadership Program (SLP) for ages 8 ~ 17 years, between 19 ~ 22 Apr 2015. Activities include an endurance trek to view point, rock climbing, high ropes, leadership and survival skill training. Register now for 7 Days Student Camping and Leadership Program (SCALP) for ages 8 ~ 17 years, between 19 ~ 25 Apr 2015. Activities include an endurance trek to view point, rock climbing, high ropes, leadership and survival skill training. I would like to say a BIG THANK YOU to all those involved in planning and executing a very successful event at NALS facility, with the support of Mr. Seshadri of NALS. We maintained a strong focus on SAFETY throughout the program, the team building activities were well planned, celebrations and cultural events appropriately conducted to maintain a strong balance. This is a very different and unique experience for us.